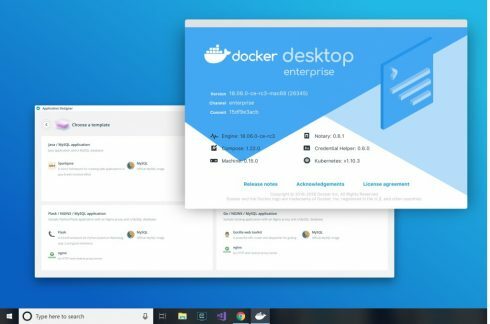 Docker is giving enterprise uses a new way to create and deliver container-based applications on their desktop. The company announced Docker Desktop Enterprise at its DockerCon conference in Barcelona today. Docker Desktop Enterprise is designed for Mac and Windows. With it, developers can work with the framework and programming language of their choice, and IT has the flexibility to securely configure, deploy and manage developer environments, the company explained. “Docker Desktop Enterprise provides a secure way to configure, deploy and manage developer environments while enforcing safe development standards that align to corporate policies and practices. IT teams and application architects can present developers with application templates designed specifically for their team, to bootstrap and standardize the development process and provide a consistent environment all the way to production,” the company wrote in a post. For IT teams, features include the ability to present developers with customized and approved application templates, and deploy and manage the solution with preferred endpoint management tools using standard MSI and PKG files. For developers, features include configurable version packs and an application design interface for template-based workflows. The new designer comes with foundational container artifacts to help developers new to containers get started right away, the company explained.